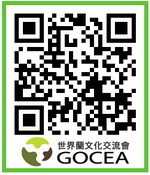 Welcome to Orchid Portal Site 'Global Orchid Culture Exchange Association' members join. First Registered mail is now sent automatically as you check the contents of the authentication process according to this site, check out up. Then 'Join Greetings' introduction and greetings to the board I would like to ask. After joining up this site personnel must leave post as a full member of the Level adjustment is normally used to all the board can be. Добро пожаловать в посетить красивые GOCEA! На нашем сайте представлены корейские и китайские Орхидеи с большим количеством изображений и обеспечивает орхидеи искусства.